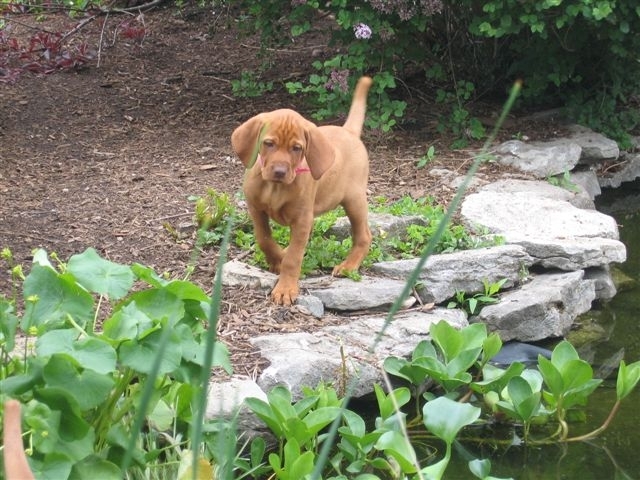 Piper is a very special girl to us, she is a sweet, has awesome conformation and is a pleasure to work with. 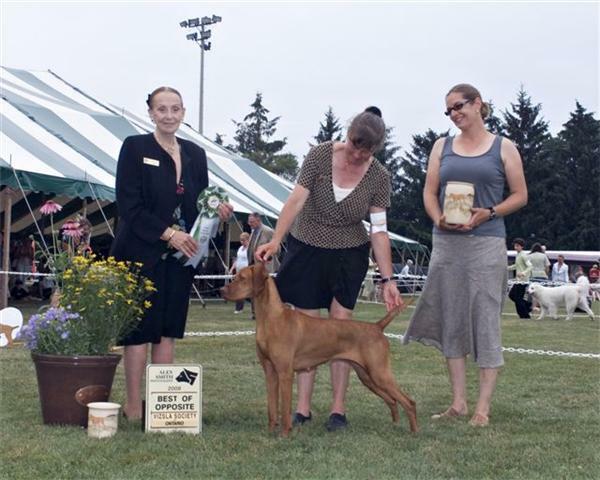 She completed her Canadian Championship at 7 months of age, earning a Group 4th and 2 Best Puppy in Groups on the way. 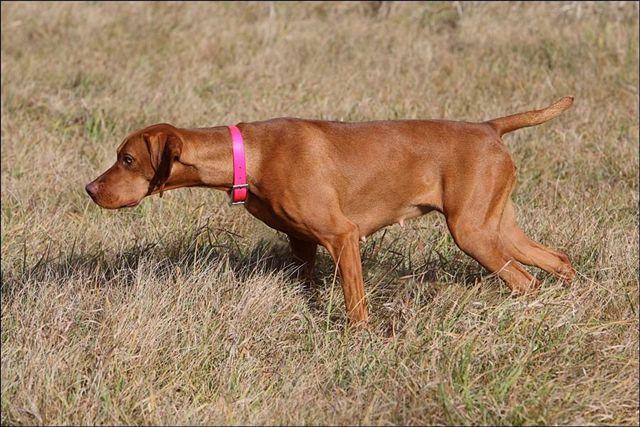 At just over a year, she won Best of Opposite at the Vizsla Canada Specialty in Woodstock. 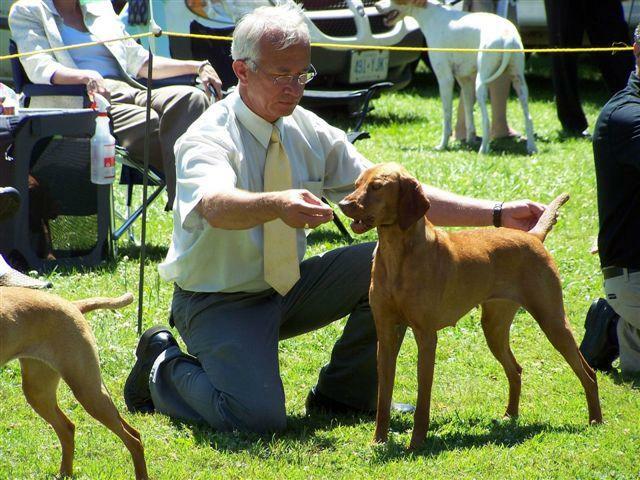 Liz Outram trained and handled her to a NAVHDA NA Prize lll and her Field Dog Jr title. We will wait till she matures before training for her FD. Piper's health checks will be completed in the fall of 2009 and if all goes well we will breed her in the winter of 2010. She will be presented in select shows before then. Photos show as a puppy, being presented by Murray Spearin and on point during a training session.